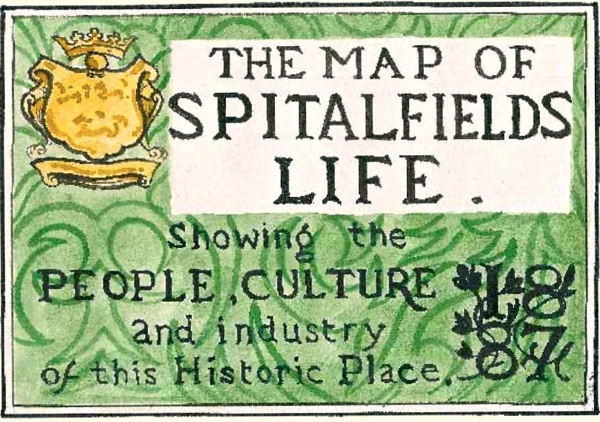 Come and see The Map of Spitalfields Life drawn by Adam Dant at The Artists of Spitalfields Life opening at Ben Pentreath Ltd on Wednesday 7th November. 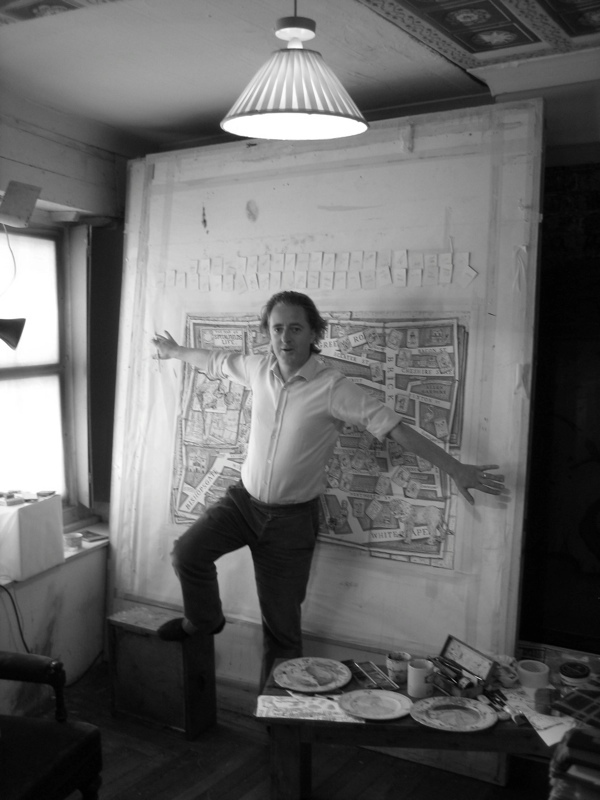 Adam Dant and I burnt the midnight oil to contrive The Map of Spitalfields Life for your delight and, once it was done, we could barely contain our excitement to show it to the world. It was produced under conditions of the strictest secrecy and, before the unveiling, Adam Dant and I alone knew who was on the map. I ran around Spitalfields like the White Rabbit, delivering invitations. Yet although those who got an invitation were confirmed of their place on the map, they did not discover who else was on it until Sandra Esqulant. landlady of The Golden Heart, unveiled it. Rumour, gossip and speculation about the map spread like wildfire through the narrow streets of Spitalfields, and the conflagration reached white heat by the day of the unveiling. 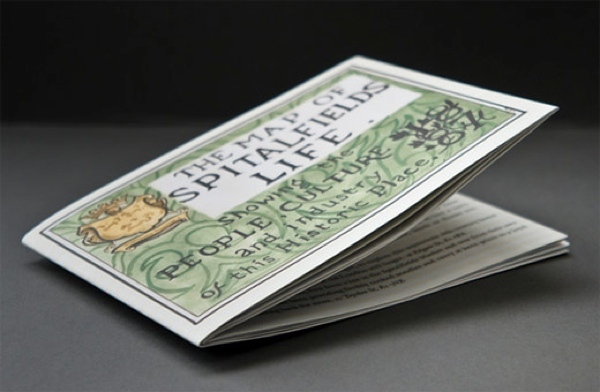 The Map of Spitalfields Life is published by Herb Lester and full-colour copies are on sale at £4. This pocket-sized edition is the ideal companion to a walk through the streets of Spitalfields. 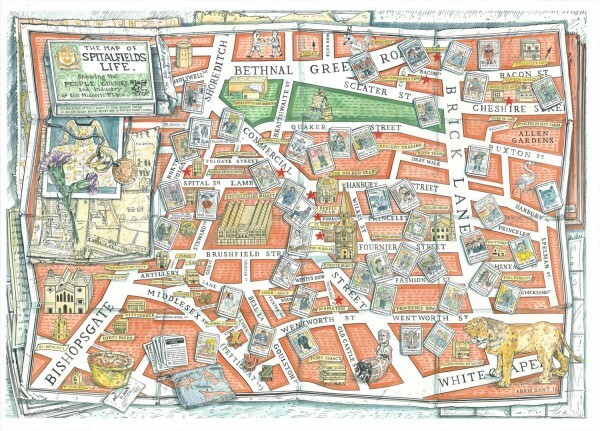 Illustrated in colour by Adam Dant, cartographer extraordinaire, with fifty portraits of the people who make Spitalfields distinctive. On the reverse, you will find the stories of all those portrayed on the front written by yours truly, plus a guide to the essential Spitalfields landmarks and destinations. 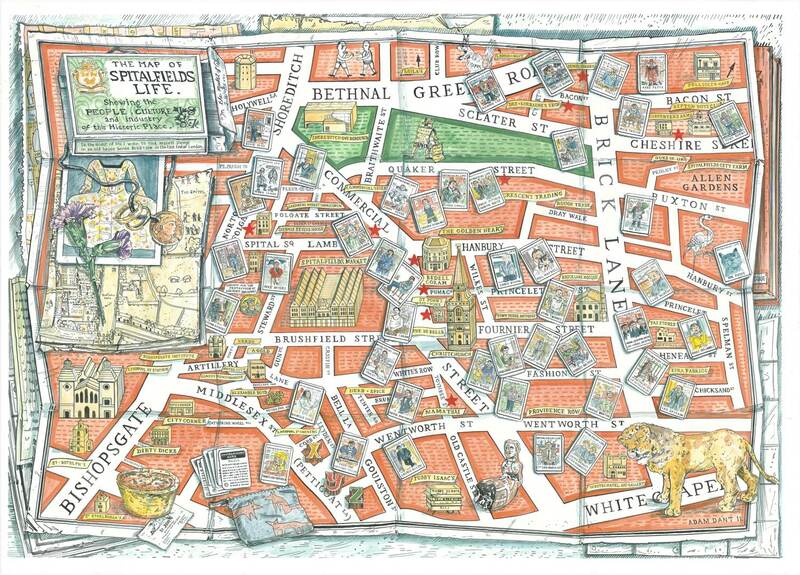 Adam Dant has produced a hand-tinted limited edition for collectors and Spitalfields aficionados, suitable for framing at £420, each copy signed by the artist and The Gentle Author. How wonderful! I’ve been following your blog for some time now, and there are so many fascinating people that you manage to track down. Last year I visited Spitalfields with a friend, not knowing that I was going there in advance, and this will make a perfect present for her!